This product was added to our catalog on Wednesday 02 March, 2005. 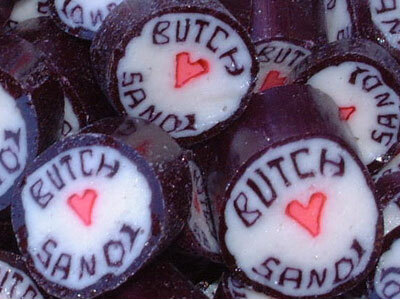 What is sweeter than your own personalized candy? For corporate promotions, wedding favors, anniversary & graduation table gifts these bite-sized pieces of candy make a big statement. What will your candy say? Bulk Packaging: This is the most economical way to buy personalized lollies. You will recieve your lcandy in clear plastic bags that are sealed air-tight to keep them fresh for months. Click here to go back to packaging options. There is a minimum order due to the nature of making the personalized candy, and is equal to about 22 lbs. of candy. What will your candy say? How do you want it to look and taste? Pick your flavor below. Watermelon and Green Apple are the most popular. Pick the colors for the outside of the lolly and the text below. Pick a logo if you want below. Please note, all custom logos are subject to approval. Later at checkout (Use the 'Add Comments About Your Order' box on the Delivery or Payment pages. ), tell us what to say in the lolly, up to 14 letters or numbers. Although not necessary, it may be helpful to you download an order form to specify all of the design-related info, that can be later faxed to us at 877-249-6419.